Need to measure more than 2 temperature-points? Or just wanna have some fun making something yourself? Jeti FourTemp is a very affordable temperature-sensor for Jeti, simple to make yourself! Total cost for Arduino and four DS18B20 is around 6-7€ so really affordable! 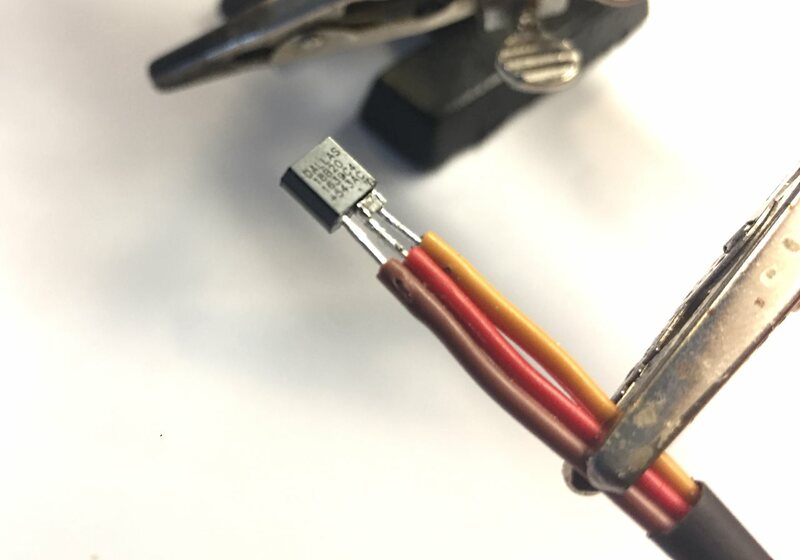 Since DS18B20 is one-wire sensor you can choose from one up to four sensors and simply connect them parallel to each other. NOTE: Some boards have GRN where my boards have GND. Do NOT use GRN, use GND! One way is to make the sensors to a “chain”, meaning wiring from Arduino to first sensor then o second etc. 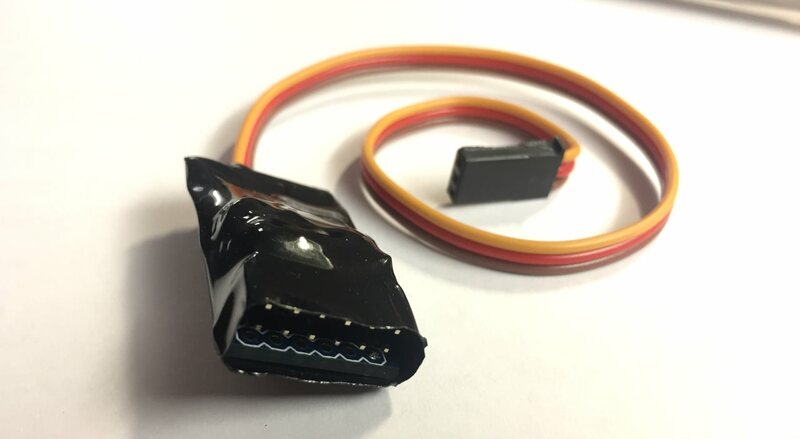 That might work in one model but not the other, so I chose to make a header and put every sensor to it’s own cable. I made three of these while I was on it, came out nice. I have two rows of 6-pin header, room for four sensors. This allow me to have one input for each sensor. 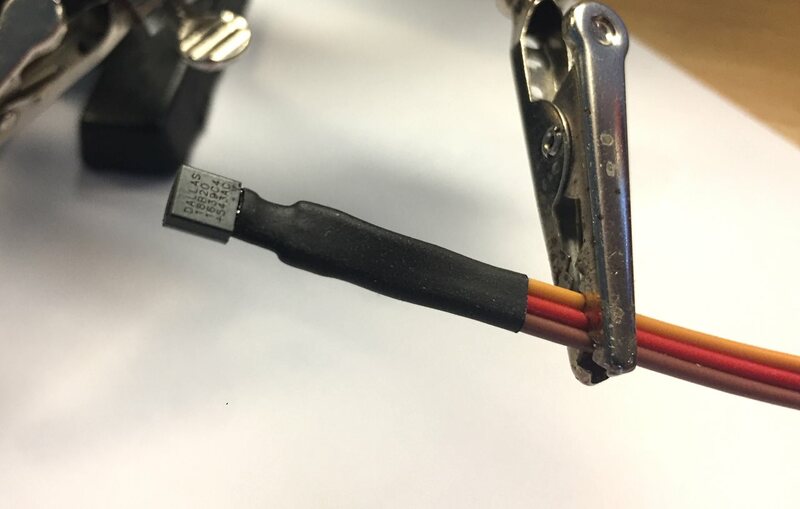 This means Temp 1 is always Temp 1 regardless of what DS18B20 is connected to that pin. The most outer pins in both rows are wired to VCC giving the 3.3V voltage from Arduino to sensors. There is a jump-lead from the most upper pins in the picture to lowest pins. Next is the signal pin, this is wired to Arduino pin 6, 7, 8 or 9 depending on sensor, look in schematic. Last is the pins in the middle providing GND to sensor. Looking at the schematic above and below you should get it. Go and get the RCT-FourTemp_C.ino (celsius) or RCT-FourTemp_F.ino (fahrenheit) file from my Github here. You need to use the libraries included in Github repository. For info on how to use these look in RFID-sensor how-to here. For simplicity there is also ready .hex files to use with XLoader. As you notice temperature is in celsius. 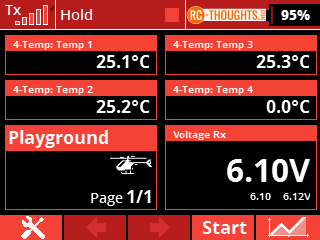 If you would like to use fahrenheit use the appropriate Arduino-files for that. 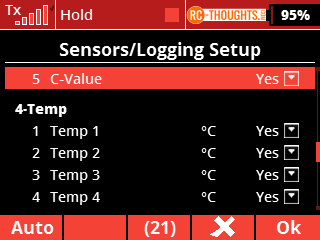 Values are presented with one decimal (maybe overkill) and if less than four sensors are connected the non-connected sensors shows 0 degrees. 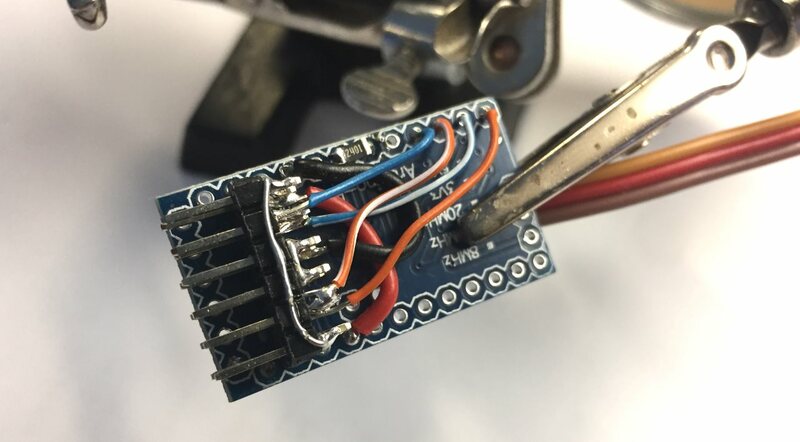 The sensor connected to Arduino pin 6 is always Temp 1, the one in Arduino pin 7 is Temp 2 and so on. This allows you to have easier installation to model and also easier programming when you add or remove sensors. 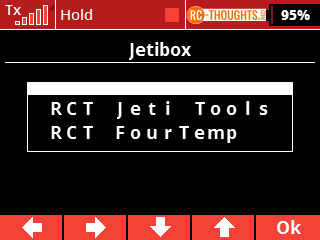 There is no settings required in Jetibox, only values.